Since announcing ConstraintLayout at Google I/O last year, we've continued to improve the layout's stability and layout editor support. We've also added new features specific to ConstraintLayout that help you build various type of layouts, such as introducing chains and setting size as a ratio. In addition to these features, there is a notable performance benefit by using ConstraintLayout. In this post, we'll walk through how you can benefit from these performance improvements. To better understand the performance of ConstraintLayout, let's take a step back and see how Android draws views. The system completes a top-down traversal of the view tree to determine how large each ViewGroup and View element should be. When a ViewGroup is measured, it also measures its children. Another top-down traversal occurs, with each ViewGroup determining the positions of its children using the sizes determined in the measure phase. The system performs yet another top-down traversal. For each object in the view tree, a Canvas object is created to send a list of drawing commands to the GPU. These commands include the ViewGroup and View objects' sizes and positions, which the system determined during the previous 2 phases. Each phase within the drawing process requires a top-down traversal of the view tree. Therefore, the more views you embed within each other (or nest) into the view hierarchy, the more time and computation power it takes for the device to draw the views. By keeping a flat hierarchy in your Android app layouts, you can create a fast and responsive user interface for your app. With that explanation in mind, let's create a traditional layout hierarchy that uses LinearLayout and RelativeLayout objects. Although there's usually room for improvement in this type of view hierarchy, you'll almost certainly still need to create a hierarchy with some nested views. For more details about how you can use Systrace, see the Analyzing UI Performance with Systrace guide. Systrace automatically highlights the (numerous) performance problems with this layout, as well as suggestions for fixing them. 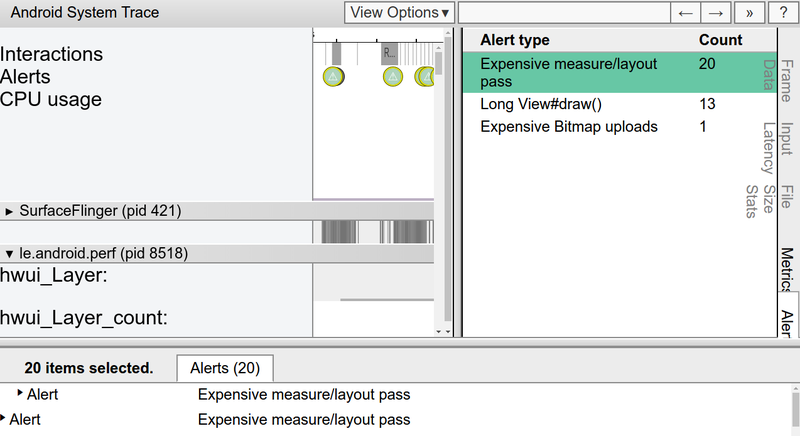 By clicking the "Alerts" tab, you will find that drawing this view hierarchy requires 80 expensive passes through the measure and layout phases! Triggering that many expensive measure and layout phases is far from ideal; such a large amount of drawing activity could result in skipped frames that users notice. We can conclude that the layout has poor performance due to the nested hierarchy as well as the characteristic of RelativeLayout, which measures each of its children twice. You can check the entire code on how we performed these measurements in our GitHub repository. 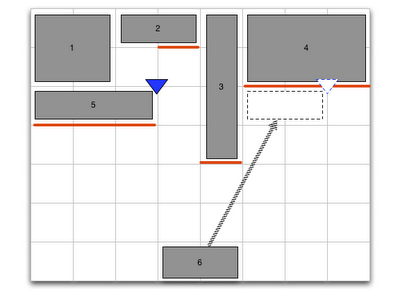 As this example shows, the layout now has a completely flat hierarchy. This is because ConstraintLayout allows you to build complex layouts without having to nest View and ViewGroup elements. When running the Systrace tool for the version of our layout that uses ConstraintLayout, you see far fewer expensive measure/layout passes during the same 20-second interval. This improvement in performance makes sense, now that we're keeping the view hierarchy flat! On a related note, we built the ConstraintLayout variant of our layout using just the layout editor instead of editing the XML by hand. To achieve the same visual effect using RelativeLayout, we probably would have needed to edit the XML by hand. We analyzed how long every measure and layout pass took for two type of layouts, ConstraintLayout and RelativeLayout, by using OnFrameMetricsAvailableListener, which was introduced in Android 7.0 (API level 24). This class allows you to collect frame-by-frame timing information about your app's UI rendering. After timing information becomes available, the app triggers the frameMetricsAvailableListener() callback. We are interested in the measure/layout performance, so we call FrameMetrics.LAYOUT_MEASURE_DURATION when retrieving the actual frame duration. To learn more about the other types of duration information that FrameMetrics can receive, see the FrameMetrics API reference. 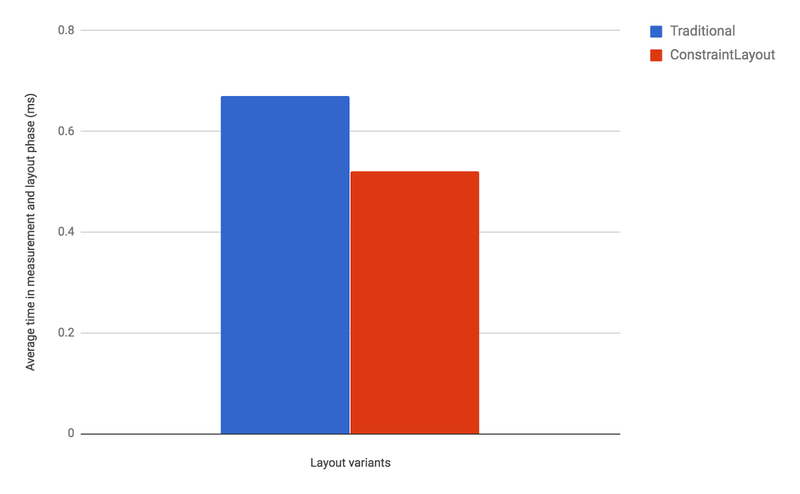 As these results show, ConstraintLayout is likely to be more performant than traditional layouts. Moreover, ConstraintLayout has other features that help you build complex and performant layouts, as discussed in the benefits of a ConstraintLayout object section. For details, see the Build a Responsive UI with ConstraintLayout guide. We recommend that you use ConstraintLayout when designing your app's layouts. In almost all cases when you would have previously need a deeply-nested layout, ConstraintLayout should be your go-to layout for optimal performance and ease of use. All the measurements above were performed in the following environment. Check out the developer guide, the API reference documentation, and the article on Medium to fully understand what ConstraintLayout can provide for you. And once again, thank you to all who submitted feedback and issues over the months since our alpha release of ConstraintLayout. We're truly grateful that we were able to release the production-ready 1.0 version of ConstraintLayout earlier this year. As we continue to improve ConstraintLayout, please continue to send us feedback using the Android issue tracker. Android 3.2 includes new tools for supporting devices with a wide range of screen sizes. One important result is better support for a new size of screen; what is typically called a “7-inch” tablet. This release also offers several new APIs to simplify developers’ work in adjusting to different screen sizes. This a long post. We start by discussing the why and how of Android “dp” arithmetic, and the finer points of the screen-size buckets. If you know all that stuff, you can skip down to “Introducing Numeric Selectors” to read about what’s new. We also provide our recommendations for how you can do layout selection in apps targeted at Android 3.2 and higher in a way that should allow you to support the maximum number of device geometries with the minimum amount of effort. Of course, the official write-up on Supporting Multiple Screens is also required reading for people working in this space. Resolution is the actual number of pixels available in the display, density is how many pixels appear within a constant area of the display, and size is the amount of physical space available for displaying your interface. These are interrelated: increase the resolution and density together, and size stays about the same. This is why the 320x480 screen on a G1 and 480x800 screen on a Droid are both the same screen size: the 480x800 screen has more pixels, but it is also higher density. To remove the size/density calculations from the picture, the Android framework works wherever possible in terms of "dp" units, which are corrected for density. In medium-density ("mdpi") screens, which correspond to the original Android phones, physical pixels are identical to dp's; the devices’ dimensions are 320x480 in either scale. A more recent phone might have physical-pixel dimensions of 480x800 but be a high-density device. The conversion factor from hdpi to mdpi in this case is 1.5, so for a developer's purposes, the device is 320x533 in dp's. Android has included support for three screen-size “buckets” since 1.6, based on these “dp” units: “normal” is currently the most popular device format (originally 320x480, more recently higher-density 480x800); “small” is for smaller screens, and “large” is for “substantially larger” screens. Devices that fall in the “large” bucket include the Dell Streak and original 7” Samsung Galaxy Tab. Android 2.3 introduced a new bucket size “xlarge”, in preparation for the approximately-10” tablets (such as the Motorola Xoom) that Android 3.0 was designed to support. xlarge screens are at least 960dp x 720dp. large screens are at least 640dp x 480dp. normal screens are at least 470dp x 320dp. A QVGA screen is 320x240 ldpi. Converting to mdpi (a 4/3 scaling factor) gives us 426dp x 320dp; this matches the minimum size above for the small screen bucket. The Xoom is a typical 10” tablet with a 1280x800 mdpi screen. This places it into the xlarge screen bucket. The Dell Streak is a 800x480 mdpi screen. This places it into the bottom of the large size bucket. A typical 7” tablet has a 1024x600 mdpi screen. This also counts as a large screen. The original Samsung Galaxy Tab is an interesting case. Physically it is a 1024x600 7” screen and thus classified as “large”. However the device configures its screen as hdpi, which means after applying the appropriate ⅔ scaling factor the actual space on the screen is 682dp x 400dp. This actually moves it out of the “large” bucket and into a “normal” screen size. The Tab actually reports that it is “large”; this was a mistake in the framework’s computation of the size for that device that we made. Today no devices should ship like this. Based on developers’ experience so far, we’re not convinced that this limited set of screen-size buckets gives developers everything they need in adapting to the increasing variety of Android-device shapes and sizes. The primary problem is that the borders between the buckets may not always correspond to either devices available to consumers or to the particular needs of apps. The “normal” and “xlarge” screen sizes should be fairly straightforward as a target: “normal” screens generally require single panes of information that the user moves between, while “xlarge” screens can comfortably hold multi-pane UIs (even in portrait orientation, with some tightening of the space). 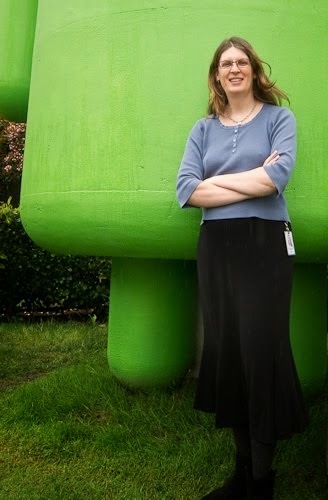 The “small” screen size is really an artifact of the original Android devices having 320x480 screens. 240x320 screens have a shorter aspect ratio, and applications that don’t take this into account can break on them. These days it is good practice to test user interfaces on a small screen to ensure there are no serious problems. The “large” screen size has been challenging for developers — you will notice that it encompases everything from the Dell Streak to the original Galaxy Tab to 7" tablets in general. Different applications may also reasonably want to take different approaches to these two devices; it is also quite reasonable to want to have different behavior for landscape vs. portrait large devices because landscape has plenty of space for a multi-pane UI, while portrait may not. Android 3.2 introduces a new approach to screen sizes, with the goal of making developers' lives easier. We have defined a set of numbers describing device screen sizes, which you can use to select resources or otherwise adjust your UI. We believe that using these will not only reduce developers’ workloads, but future-proof their apps significantly. width dp: the current width available for application layout in “dp” units; changes when the screen switches orientation between landscape and portrait. 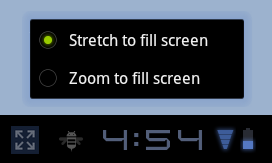 height dp: the current height available for application layout in “dp” units; also changes when the screen switches orientation. smallest width dp: the smallest width available for application layout in “dp” units; this is the smallest width dp that you will ever encounter in any rotation of the display. Of these, smallest width dp is the most important. It replaces the old screen-size buckets with a continuous range of numbers giving the effective size. This number is based on width because that is fairly universally the driving factor in designing a layout. A UI will often scroll vertically, but have fairly hard constraints on the minimum space it needs horizontally; the available width is also the key factor in determining whether to use a phone-style one-pane layout or tablet-style multi-pane layout. 320: a phone screen (240x320 ldpi, 320x480 mdpi, 480x800 hdpi, etc). 480: a tweener tablet like the Streak (480x800 mdpi). 600: a 7” tablet (600x1024). 720: a 10” tablet (720x1280, 800x1280, etc). When you are designing your UI, the main thing you probably care about is where you switch between a phone-style UI and a tablet-style multi-pane UI. The exact point of this switch will depend on your particular design — maybe you need a full 720dp width for your tablet layout, maybe 600dp is enough, or 480dp, or even some other number between those. Either pick a width and design to it; or after doing your design, find the smallest width it supports. Android will pick the resource that is closest to the device’s “smallest width,” without being larger; so for a hypothetical 700dp x 1200dp tablet, it would pick layout-sw600dp. In the setup above, we will always use the phone layout for devices whose smallest width is less than 600dp; for devices whose smallest width is at least 600dp, we will switch between the tablet and large width layouts depending on the current available width. In this case when running on a tablet that is using landscape orientation, the last layout will be used because the “swNNNdp” qualifier is a better match than “port”. One final thing we need to address is specifying layouts that work on both Android 3.2 and up as well as previous versions of the platform. We strongly recommend that developers start using the new layout selectors for apps targeted at Android release 3.2 or higher, as we will be doing for Google apps. We think they will make your layout choices easier to express and manage. Furthermore, we can see a remarkably wide variety of Android-device form factors coming down the pipe. This is a good thing, and will expand the market for your work. These new layout selectors are specifically designed to make it straightforward for you to make your apps run well in a future hardware ecosystem which is full of variety (and surprises). , I showed you how to use the <include /> tag in XML layout to reuse and share your layout code. I also mentioned the <merge /> and it's now time to learn how to use it. Since our FrameLayout has the same dimension as its parent, by the virtue of using the fill_parent constraints, and does not define any background, extra padding or a gravity, it is totally useless. We only made the UI more complex for no good reason. But how could we get rid of this FrameLayout? After all, XML documents require a root tag and tags in XML layouts always represent view instances. In the next installment of Android Layout Tricks you will learn about ViewStub, a powerful variation of <include /> that can help you further optimize your layouts without sacrificing features. Download the complete source code of this example. In the previous installment of Android Layout Tricks, I showed you how to use the <include /> tag in XML layout to reuse and share your layout code. I also mentioned the <merge /> and it's now time to learn how to use it. , small visual construction blocks you can glue together to present the users with complex and useful interfaces. However applications often need higher level visual components. A component can be seen as a complex widget made of several simple stock widgets. You could for instance reuse a panel containing a progress bar and a cancel button, a panel containing two buttons (positive and negative actions), a panel with an icon, a title and a description, etc. Creating new components can be done easily by writing a custom View but it can be done even more easily using only XML. This tag is particularly useful when you need to customize only part of your UI depending on the device's configuration. For instance, the main layout of your activity can be placed in the layout/ directory and can include another layout which exists in two flavors, in layout-land/ and layout-port/. This allows you to share most of the UI in portrait and landscape. Like I mentioned earlier, my next post will explain the <merge />, which can be particularly powerful when combined with <include />. Android comes with a wide variety of widgets, small visual construction blocks you can glue together to present the users with complex and useful interfaces. However applications often need higher level visual components. A component can be seen as a complex widget made of several simple stock widgets. You could for instance reuse a panel containing a progress bar and a cancel button, a panel containing two buttons (positive and negative actions), a panel with an icon, a title and a description, etc. Creating new components can be done easily by writing a custom View but it can be done even more easily using only XML. 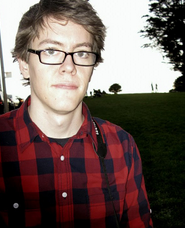 , which leads to a proliferation of views in the view hierarchy. Every view, or worse every layout manager, you add to your application comes at a cost: initialization, layout and drawing become slower. The layout pass can be especially expensive when you nest several LinearLayout that use the weight parameter, which requires the child to be measured twice. In a RelativeLayout, views are aligned either with their parent, the RelativeLayout itself, or other views. For instance, we declared that the description is aligned with the bottom of the RelativeLayout and that the title is positioned above the description and anchored to the parent's top. With the description GONE, RelativeLayout doesn't know where to position the title's bottom edge. To solve this problem, you can use a very special layout parameter called alignWithParentIfMissing. Again, the difference will be much more important when you use such a layout for every item in a ListView for instance. Hopefully this simple example showed you that getting to know your layouts is the best way to learn how to optimize your UI. 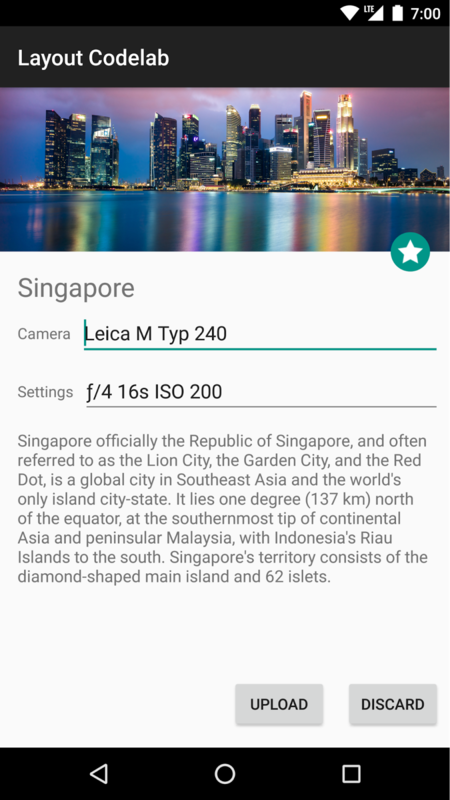 The Android UI toolkit offers several layout managers that are rather easy to use and, most of the time, you only need the basic features of these layout managers to implement a user interface. 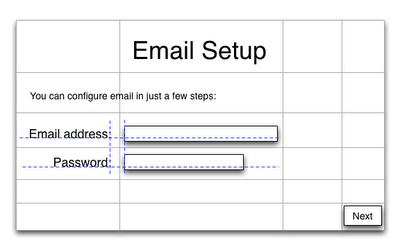 Sticking to the basic features is unfortunately not the most efficient way to create user interfaces. A common example is the abuse of LinearLayout, which leads to a proliferation of views in the view hierarchy. Every view, or worse every layout manager, you add to your application comes at a cost: initialization, layout and drawing become slower. The layout pass can be especially expensive when you nest several LinearLayout that use the weight parameter, which requires the child to be measured twice.